The Kent County Road Commission begins a Crush and Shape on Belmont Avenue, just south of the Belmont Bypass. 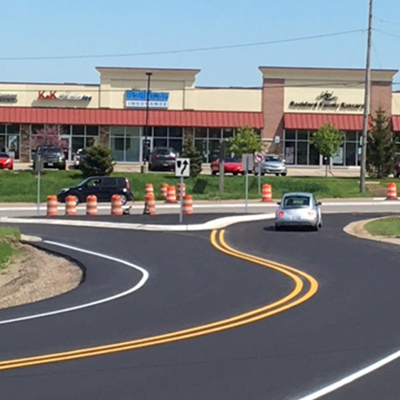 In addition, work at the intersection of 10 Mile Road and Belmont Avenue is now complete. About: Crush & Shape is a structural pavement treatment that grinds, or crushes, the existing asphalt and 1-2” of underlying gravel. The material is then regraded, compacted and covered with multiple layers of paver-placed hot asphalt. 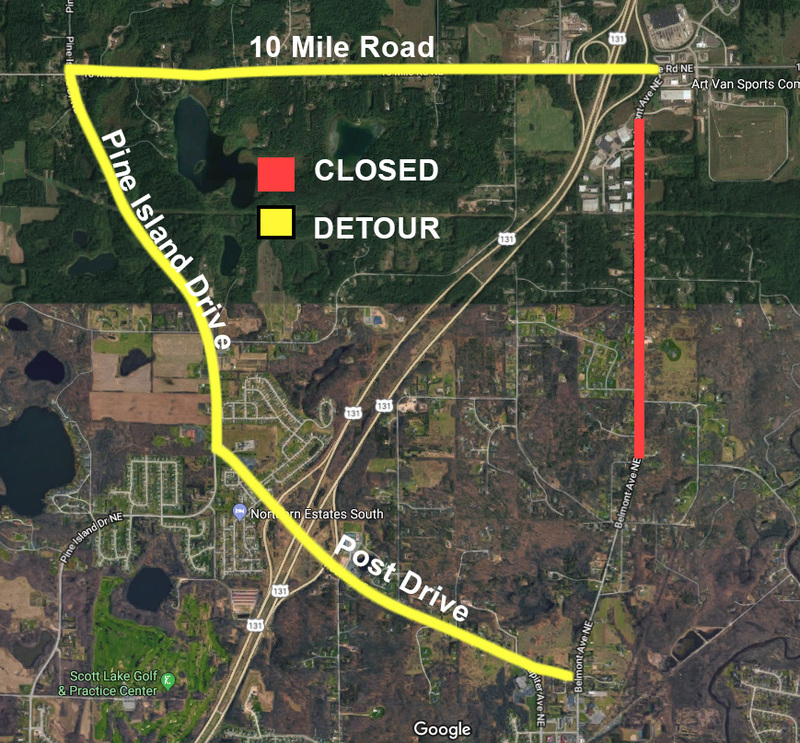 This project is being funded by the supplemental appropriation passed by Michigan Legislature and signed by Governor Snyder in March 2018, which provides $3.3 million additional revenue to KCRC for 2018 construction season. About: The existing traffic signal at 10 Mile Road and Belmont Avenue has been removed and a concrete median divider has been constructed. 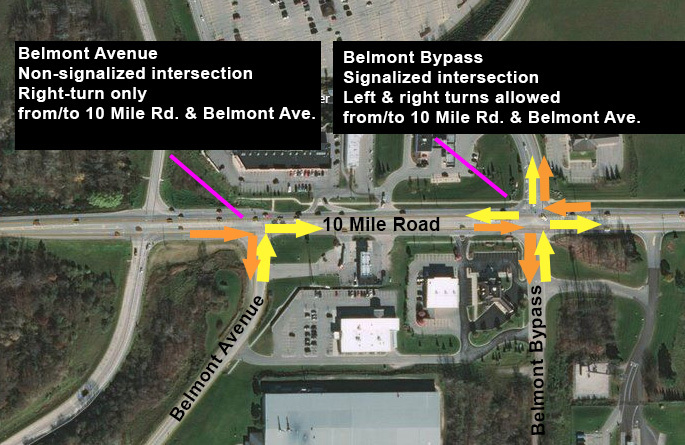 Those seeking to make a left-hand turn from 10 Mile Road onto Belmont or Belmont Avenue onto 10 Mile Road should now do so at the signalized Belmont Bypass (Meijer signal) and 10 Mile intersection.